Rainy days in Rome | Where's my backpack? I spent several glorious exploring the ancient streets of Rome. Despite occasional rain showers and thunderstorms, it was deliciously warm; mild enough to amble around in a t-shirt, with an umbrella at the ready. When clouds gathered and thunder threatened, ancient monuments seemed to grow in stature and glow, almost as if the stormy skies released in them some sort of inner luminosity. In between cloudbursts, the sun came out and I took some time to capture a few reflective moments in this most magical of cities. 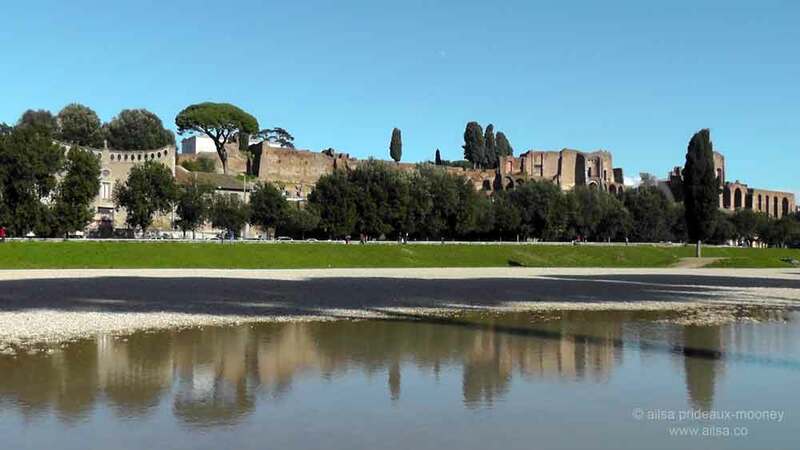 Pools of rainwater gathered in and around the Circus Maximus as I rambled by, creating breathtaking mirror images of the Roman Forum beyond. The cobbled stones of the Piazza Navona made a delicate backdrop for reflected architecture. 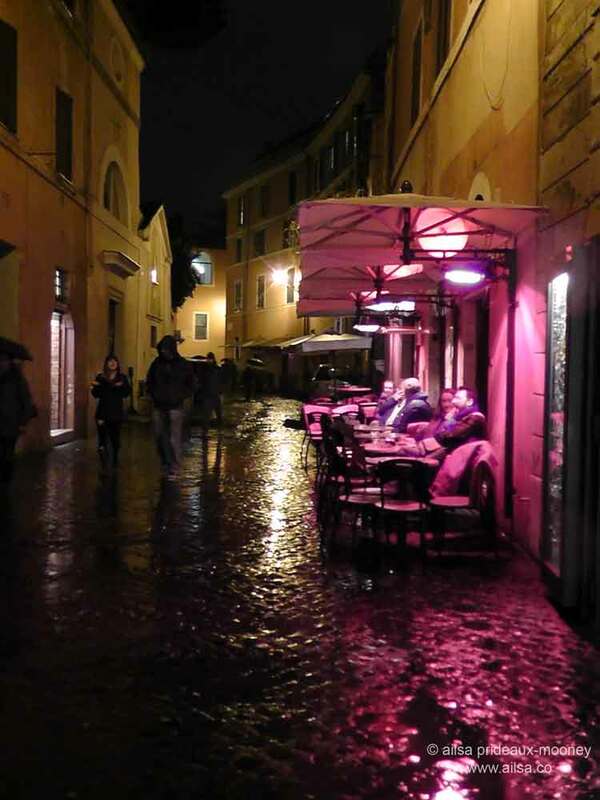 And the medieval streets of Trastevere glittered like precious gemstones in the pitch of night. With sights this delightful I am quite content to get soaked by a sudden downpour. This entry was posted in Europe, Italy, Photography, Travel and tagged architecture, inspiration, photography, photos, pictures, travel, writing. Bookmark the permalink. 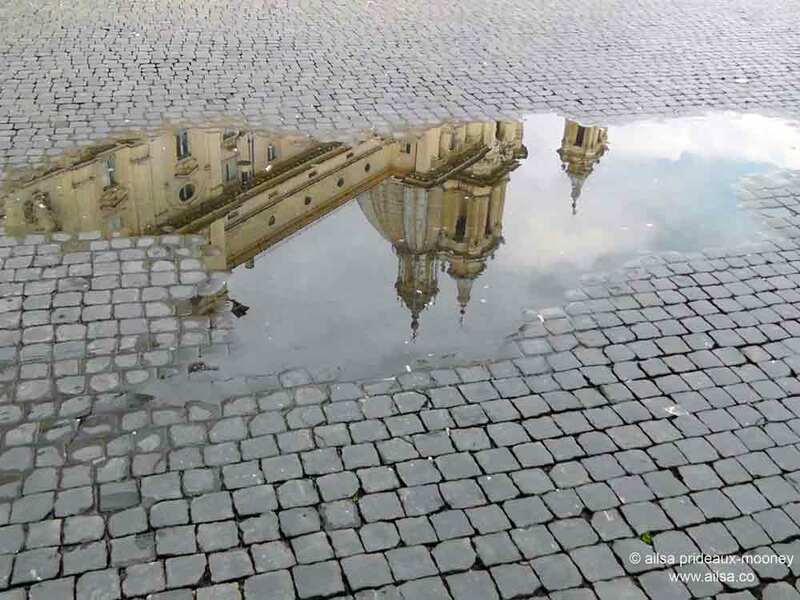 I love the cathedral reflection in the cobblestone puddle – great shot! Thanks Beauty, I took a million shots of rainy Rome, it was hard to choose my favourites, but that one in the Piazza Navona really appealed to me. Beautiful. You have such a great eye. How great is the reflection in the puddle! And the colours of the old yellow stone buildings are so inviting that I want to go there. Now. I can’t wait to read more. We’re thinking of traveling to Italy this summer. It sounds like you are having a wonderful time Alisa, I can’t wait to read more! I am with others who have commented. The puddle shot is brilliant! I am going to remember that Ailsa! Wonderful idea. I’ll join the puddle-shot admirers. Me too! That’s a fantastic shot! Ailsa, what fun! I lve Italy, and have been to many places but funnily enough, have yet to get to the Eternal City….. I love architecture reflected in puddles, and your shot of the cathedral ticks the box for me….. I suspect that will happen to me if I ever go…. Grin. Thanks AJ – it’s been nice to escape the windy insanity of Ireland for a bit. I hear there was a crazy wind storm the day I left for Rome, over 100kph winds. Yikes. Happy that you like Rome ! Ah, Rome ~ very romantic (and busy!). All your photos are wonderful but I too favor the puddle shot. I love that one of the puddle in the Piazza Navona – the reflection is so clear. Stunning photos! Thank you so much for sharing!! Love the reflection in the puddle on the cobblestones!!! Great shot! By the way, Rome is still one of those cities I dream of travelling to, one day. 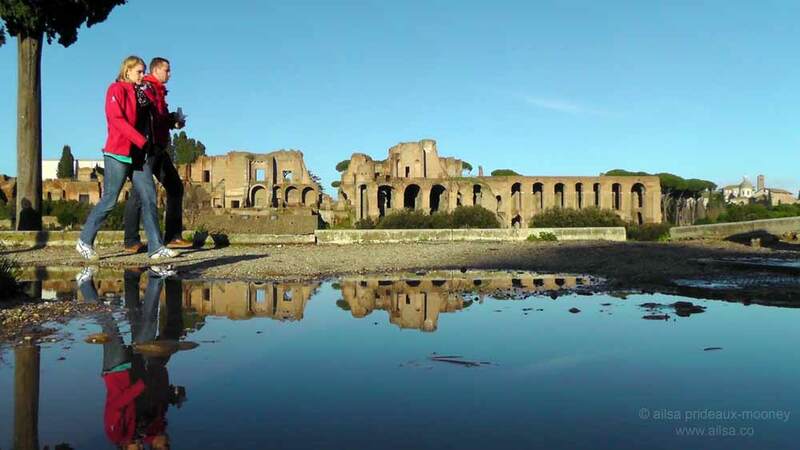 The reflecion in Piazza Novona is beyond stunning! Fab post Ailsa. wow wow wow. Love the reflection of th Piazza Novona on the cobblestones. 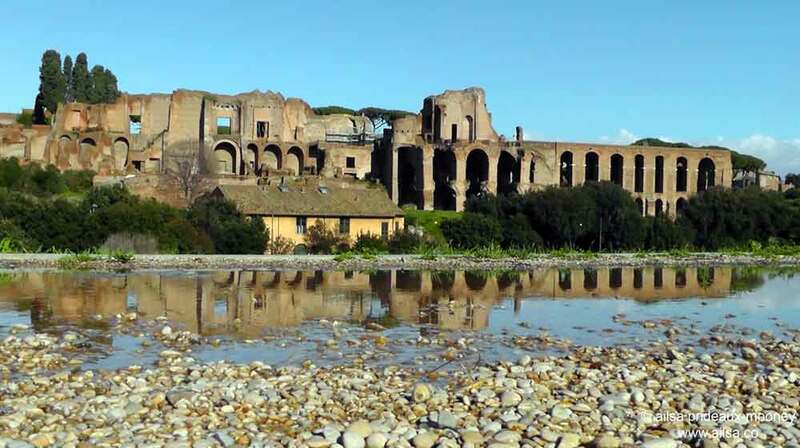 I love Rome… ahhhh I wish I was there now. Thanks for giving me a mini virtual vacation. Your picture of the medieval streets of Trastevere is a work of art. That’s it!! I’m booking for next month. My wife and I will be in Rome on Thursday. We can’t wait!